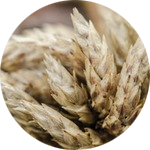 Calibre are proud to supply a range of quality grain testing equipment that delivers outstanding accuracy every single time. Our dairy antibiotic test kits allow you to analyse your milk quickly and easily on the go. Our food testing equipment meets and exceeds industry standards which means you can continue to produce the highest quality product. "Calibre provide a brilliant service. Always quick and efficient with very helpful people to talk to." "If all companies performed like Calibre, life would be much more easier. we have in the past and continue to do so, believe that Calibre Control are in a league of their own." "WE have always had excellent help and service from Calibre"
We supply a wide range of testing equipment for the food and drink industry, with a knowledgeable customer support team. We pride ourselves on having the ability to react to our customer’s requirements while being large enough to provide key support to some of the world’s largest companies.